Spending a morning photographing 6 day old free-range piglets isn't a bad way to start the day! Rosery Farm, on the outskirts of Woodbridge in Suffolk got in contact with me to take some photographs of their super happy young piglets. They were so bouncy and wiggly, it was fun chasing them around to get the shots. The freedom these little porkers have was so lovely to see. 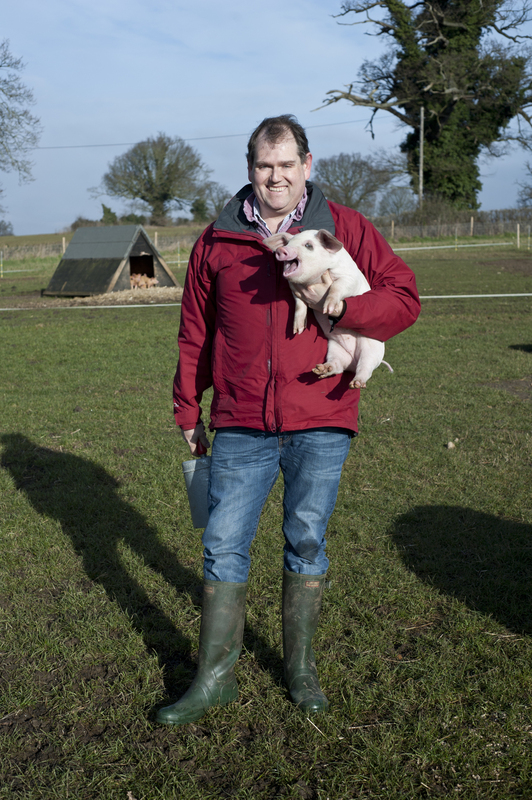 Adrian Melrose with a young free-range piglet.